After obtaining the National Economic Development Authority (NEDA) Board’s approval to sweeten the terms of the country’s biggest Public-Private Partnership (PPP) project, the Department of Transportation and Communications (DOTC) is now targeting to schedule its bid submission deadline within the second quarter of 2014. 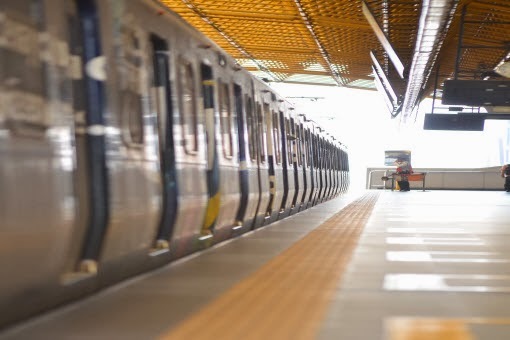 In order to foster more competitive bids for the Light Rail Transit (LRT) Line 1 Cavite Extension PPP Project (LRT-1 Cavex), the DOTC aims to give roughly four (4) to six (6) months’ time from the start of the bidding process to allow new players to come into the picture. The bidding process begins upon the publication of an invitation to bid, which the transport agency will do within December 2013. “This timeline is meant to foster competitive bids. We believe that the improved terms will attract more players, who will need a reasonable period to study the project and prepare their proposals,” said DOTC spokesperson Michael Arthur Sagcal. The improvements in the terms of the project involve government absorbing the obligation to pay real property taxes (RPT), ensuring the integrity of the facility’s structure for a two (2)-year period, subsidizing unexpected surges in power rates beyond a particular range, permitting a five percent fare increase upon completion of the project, and allowing the submission of negative bids. The NEDA Board’s approval also entailed an increase in the project cost to P 64.9 Billion, due to the addition of several components to the project’s terms. These new components, which the DOTC originally intended to pursue as separate projects, will now form part of the winning concessionaire’s obligations, making the LRT-1 Cavex bid more robust. 1. Some remedial and rehabilitation works for the existing system such as repairing the carriage viaduct, rehabilitating existing trains especially their roofing, as well as making the LRT-1 system compliant with laws and regulations. 2 Installation of equipment which will be part of the common ticketing system called the Automatic Fare Collection System (AFCS), which is being bid out by the DOTC separately, for the Cavite extension portion of LRT-1 only. 3. Other components including contingency costs, on account of the interface risk with related projects such as the AFCS PPP, the construction of the Common Station which will link LRT-1 with Metro Rail Transit (MRT) Lines 3 and 7 in the EDSA-North Avenue area, and the LRT-1 Cavex components procured under the project’s Official Development Assistance (ODA) portion.